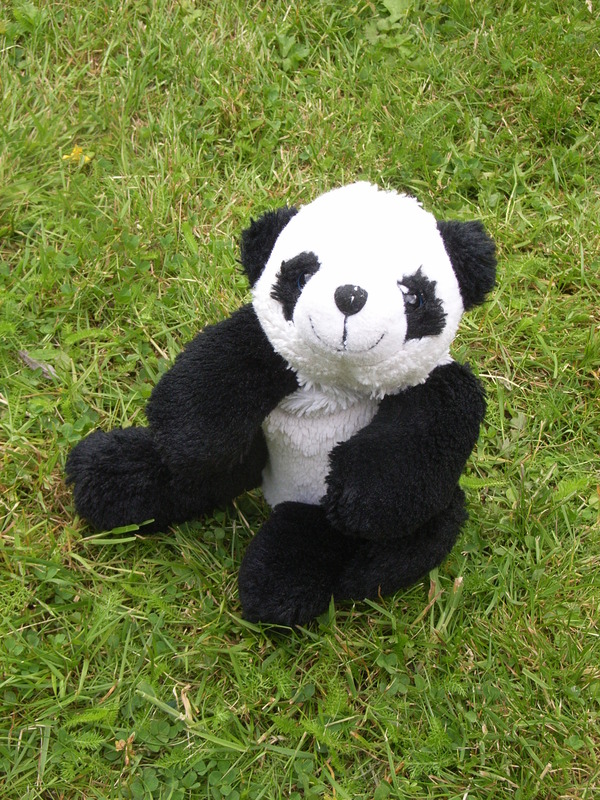 Last summer, there was an article in the papers which caught my eye, mainly because it was accompanied by a cute picture of pandas, but also, with my naturopathic hat on, it was talking about bowels! In particular it was reporting on how panda poo contains potent bacteria capable of breaking down tough plant material, essential for extracting ethanol, which can be used as a biofuel. What struck me most was that the average adult panda chomps its way through about 11 kg of bamboo shoots a day (not a very balanced diet) and wait for it ………….. can poo up to 40 times!!! At the time of reading I was suffering with a temporary (though it didn’t feel it at the time) bout of traveller’s constipation – so my immediate thought was “LUCKY PANDAS”!! As I was feeling sluggish, headachy and generally out of sorts with my lack of panda-regularity, this got me thinking about just how incredibly important our bowels are for health, so now, having exhausted my somewhat limited knowledge of the bowel habits of pandas, I shall share with you some thoughts on human digestion ………… in particular, bowels ….. so don’t be shy ……. and read on!! Naturopathically speaking, we are constipated if we don’t have 3 good well-formed bowel motions a day. Yes, you read that correctly – THREE!! Just count your blessings you aren’t a panda!! A* for anyone who achieves that; B++ for the once-a-dayers and a “come to my office” for everyone else!! When our cells cleanse, the toxins discarded take a circuitous route, ending up in the colon, before being escorted via the stools off our premises for good. The colon is therefore a temporary holding dock, with the emphasis on temporary. If the stools are allowed to linger a little too long, toxins can literally recycle via the bloodstream. Not only does this rather defeat the object but you can auto-toxicate, leading to all sorts of symptoms, such as headaches, joint aches, skin rashes, feeling under the weather, even depression. It can also irritate the colon itself, setting the scene for more digestive problems. So what do we need to make things work a little more smoothly? Four things: hydration; bulk; good muscle tone; and a healthy environment in your digestive tract. Hydration is a fairly easy one. Bottom line (sorry – no pun intended) – we need to drink water regularly (4 pints spread throughout the day), and try to avoid drinks such as coffee and tea which are diuretics and serve only to take water away from us. Eating water-rich foods also helps. Fruit, vegetables and soups all belong to this category. Dry foods however, draw on our water reserves. So if you are starting your day with toast (very dry) and coffee (strong diuretic), you are not doing your colon any favours!! Bulk = fibre, found in whole foods, fruit and vegetables. This helps to sweep the colon clean (it draws up toxins as it goes) as well as gives the colon muscles something to work against …… which leads onto …………. Good muscle tone. The old adage “use it or lose it” applies just as much to the colon as to anywhere else in the body. We need to exercise it every day to keep it in tip-top condition. Fibre is of great importance; also exercise. A good brisk walk can help tone the colon. I often find that if I am sedentary for a couple of days say, my bowels can become sluggish. Never rely on laxatives, as these just make the colon lazy. Healthy Environment – we provide this through drinking water and eating healthily. Good bacteria (probiotics) also give us a helping hand ……… these little fellows support our whole digestive tract, aiding digestion as well as keeping bad bacteria at bay. Adding in some good bacteria as well as cleaning up your diet can really help with regularity. Note that when buying supplements, it is better to buy a combined pre- and pro-biotic. The Pre- provides the food for the pro. Also, there is no point in throwing supplements in if you don’t change your diet!! We need a nice healthy environment in our digestive tract for the good bacteria to THRIVE in! J Hopefully this has given you a few helpful hints to achieving an A* colon. If digestion is a problem for you, I would recommend you seeking the advice of a practitioner, who can help tailor your diet to improve your bowel health as well as digestion in particular. Tom and Jerry and Life’s pause button!! I was recently driving down to the south coast and was horrified to find huge swathes of woodland chopped down at the side of the road, no doubt in preparation for widening the road to accommodate yet more traffic. To my simple way of thinking, this is just a temporary “plaster” for an ever increasing problem. What happens when the new third lane becomes congested too? Do we extend again and then again? Wouldn’t it be better to research ways of taking cars off the road? Obviously I’m not writing an article about the UK transport system …….. but seeing this rather depressing sight made me think about how we approach our health in a similar fashion. For starters I think we sometimes forget to hit the pause button on our life. Most of us live a fast-paced life, “stressed-bunny syndrome” as I like to think of it, and even exercise and hobbies become just another entry or two on the list of things to fit in each week, and instead of creating relaxation, add to our already hefty stress load. We can find ourselves running on “full”, with no room to manoeuvre and so when something unexpected turns up, especially something unwanted, like an illness, it’s natural to want to give it the least amount of time and energy. Colds and headaches are perfect examples. We don’t want the cold or headache so we down painkillers and decongestants in order to carry on regardless. These are our “plasters”, things which allow us to continue doing the same with as little inconvenience as possible. These symptoms, however, are there for a reason. They are telling us to hit the pause button, step away from that hectic life of ours, even if it’s only for a day or two, and give our physical, mental and emotional self a rest. This is a good time to reflect. Why am I getting these headaches? Am I eating healthily enough? Am I drinking enough water? Can I reduce my alcohol intake? Can I get more sleep or fresh air? Instead of reaching for another plaster, it is good instead to look at the possible cause, and consider making small changes, doing things differently in future so we don’t have a repeat performance the next month and the month after that. I’m not suggesting we get paranoid and fearful about every twinge and sniffle, but instead try to listen to our bodies and review how well we are looking after ourselves. Sometimes a simple change can reap great benefits. If we ignore the small things – those niggling symptoms – then sometimes the body comes along with a whopping big mallet and hits us over the head, which makes us reach not so much for the pause as the stop button. It reminds me of the old Tom and Jerry cartoons I used to watch as a child. Jerry (mouse) hits Tom (cat) over the head with something, and a lump pops up; Tom pushes the lump down and another pops up elsewhere; he pushes that down and – yes you have guessed it – it pops up in yet another place!! In the same way, by ignoring our symptoms, we are simply moving the problem elsewhere. So what am I suggesting? Instead of being swept along with what we think we ought to be doing, and what we think other people expect of us, filling up every minute of every day, holding it all together whether “well” or ill, we need to get in tune with what is truly good for us. I am currently sitting here with a suspected torn cartilage two months after the first symptoms appeared, waiting (in limbo) for a scan. At the time, I just assumed I had strained something so carried on regardless. I had commitments; I didn’t want to let people down – you get the picture. My knee has now told me in no uncertain terms that it has had enough!! With it, my energy and mojo decided to go walkabout too – thankfully only temporarily. So what have I done? I have hit my pause button and am exploring ways to support myself through this without using “plasters”. I have taken up meditation again, and instead of it being a task on my to-do list each day as it was many years ago (which equated to yet more stress! ; I was doing it because it was “good for me”), I now set aside half an hour each day just to sit and enjoy time to just be, and the meditation just comes naturally. Meditation isn’t for everybody, but just allowing yourself to sit quietly, with no distractions and perhaps using the time to let your mind wander can help to recharge your batteries. Perhaps too, if you feel stressed or under par, instead of reaching for a quick fix “plaster”, you could consider in a very relaxed way how you could look after yourself better? Remember it is far better to ponder the smaller symptoms and fine tune your life now rather than have to make much bigger changes later when that mallet hits hard.